The reason I am ordering from you..I had not been able to find the chocolate covered Expresso beans. I did find them at your facility and order them frequently...love them. This was a gift from my girlfriend. She looked for the best price, and this fit that aspect. She's never bought them before. 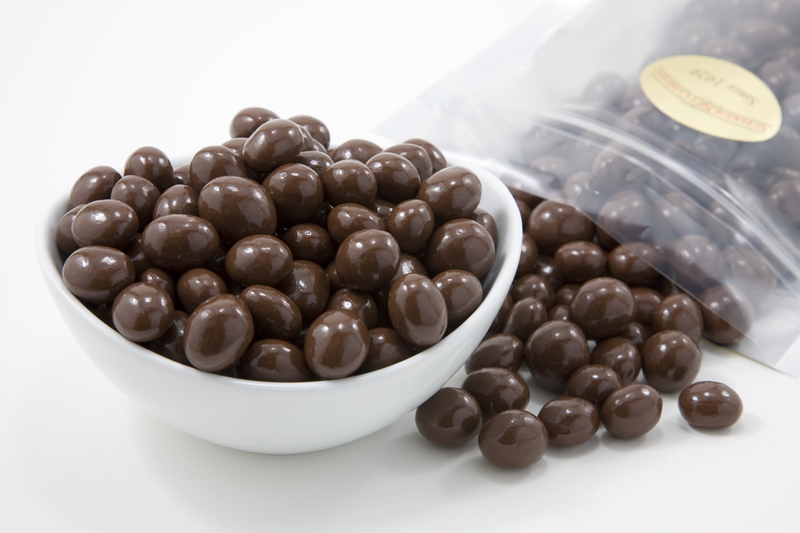 Not all chocolate covered beans are created equal. These are some of the best, smoothest, tasty chocolate beans I've ever had! I tried Amazon, but nothing could match the price and quality. These are, by far, the best value for your money! I have people at work begging me to know where they came from and wanting me to buy some in bulk. I'll have to do that, and maybe I can make some extra cash this holiday! ProsEverything about them! Richness, quality. The chocolate is so good, and the beans are also great. this was my first time ordering Espresso chocolate beans & I have to say, they came before you all completed the transaction. I was not expecting that. Also, I used then for Ice cream so far & they have been PERFECT. You all are my go to for this from now on. I buy these every year for my friend who cannot find MILK chocolate covered coffee beans and she loves them! The product was very good. I would have given 5 stars but the bottom of the bag was melting as well as the bag of NY Taxi Expresso Beans. After putting them in the refrigerator for a short time I took the melted part out and broke into chunks. The coffee beans are so good I wish I could find them in stores. ProsI enjoy the coffee flavor and being able to take them with me. Not sure what this means but my experience was great. Everything was perfect. ConsThe packaging was fine but as it was a gift it would have been nice to have the option of a nicer container. I am very pleased to find this at reasonable price and good quality. It is hard to find chocolate covered coffee beans here. I purchased this for a friend's birthday. It arrived on time and was delicious. ProsIt was exactly what I ordered. ConsExpensive and shipping is a little high. They are very good and melt easily which means they are really milk chocolate. Another great order from Superior Nut Company! We're are completely addicted to these Espresso Beans... so much better than Starbucks or any other company we've tried. The order was, as always, shipped super fast! I'll be ordering as long as they allow me to! These are excellent! Very tasty and addicting! The espresso beans were very high quality and the chocolate that covered them was not waxy like one would find in most products. Exceptional product and very fast shipping. I would definitely order from this company again and again! I sent them to a close friend, he loved them and said they were wonderful. My wife really like them. She is a nurse on the night shift and like the flavor and â€™boostâ€™. By Debbie Bennett - Mc Donough, Ga. The chocolate covered espresso beans were excellent. Very nicely packed, undamaged when arrived. Excellent quality! My husband bought these for me as a Valentineâ€™s Day gift and they are amazing! They are quite possibly the best chocolate covered espresso beans I have ever had.